LINCOLN — More struggling Nebraska parents could get help with child care costs under a proposal heard Friday by a legislative panel. 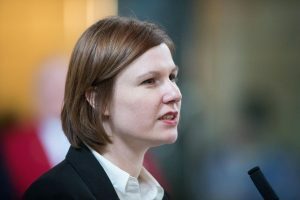 State Sen. Kate Bolz of Lincoln said Legislative Bill 329 would increase the amount of money families could make and still qualify for child care subsidies. The bill also would give families more time to ease their way off subsidies as their incomes increase. LB 329 would allow people to qualify for subsidies while making up to 165 percent of the federal poverty guidelines, or $27,159 for a single parent and child. Once they qualify, parents could keep the subsidy until they reach 200 percent of poverty. Bolz argued that her measure would give low-income families a boost toward self-sufficiency by partially reversing budget cuts made to the program in 2002. That year, then-Gov. Mike Johanns dropped the eligibility level for child care subsidies to 120 percent of federal poverty guidelines, down from 185 percent of poverty. In 2013, lawmakers increased eligibility to the current 130 percent of poverty, or $21,398 for a single parent and child, while allowing transitional subsidies for parents making up to 185 percent of poverty. Nebraska has among the lowest eligibility levels in the country. Agency officials estimated that an additional 9,513 households, or about 19,000 children, would qualify for subsidies under the bill, at a cost of $96 million annually. In contrast, the Legislative Fiscal Office projected the cost at closer to $10 million a year for about 4,500 children. 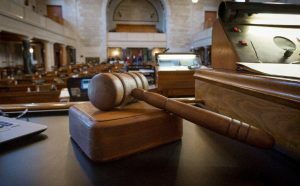 Advocates for children and for low-income Nebraskans argued for the change, saying the current situation forces parents to turn down raises or curtail their work hours rather than lose the subsidy. Robert Patterson, chief executive officer of Omaha’s Kids Can Community Center, told of one mother whose three boys are in care at Kids Can. The mother had been working a job that paid $10 an hour. She was promoted to assistant manager, a position that offered more experience and better pay but meant losing her child care subsidy. “Without help from Kids Can, I would not have the money I would need to feed my family,” Patterson quoted her as saying. From the Classroom to the Courtroom: When parents become plaintiffs!